Home » videos » Testimonial - Tourism Montreal's Private Show! 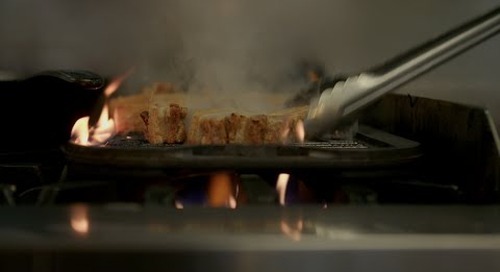 "We enjoyed a turnkey service in an exceptional environment: our guests were treated to an incredible meal and performance and, at the same time, had the opportunity to do some networking." In April, 2016, Tourism Montreal organized the Rendez-Vous Canada Convention in Montreal. Its mission: to showcase Montreal’s effervescence and creativity to people of different languages and cultures. The objective was twofold: to give delegates the opportunity to do some quality networking; and to give them a powerful and moving experience. The idea of organizing a private evening under the Cirque du Soleil’s Big Top fit the bill perfectly. The guests were thrilled at having the show performed exclusively for them alone. All of them, without exception, were awestruck by this incredible evening. This event had a very strong positive effect on Tourism Montreal. The organization made quite an impression with its choice of original activity, which enabled it to highlight the talent of the artists and craftsmen of the region it promotes. The reception before the show and the coffee break during the intermission allowed the delegates at the Canadian Convention to engage in some creative and productive networking sessions. 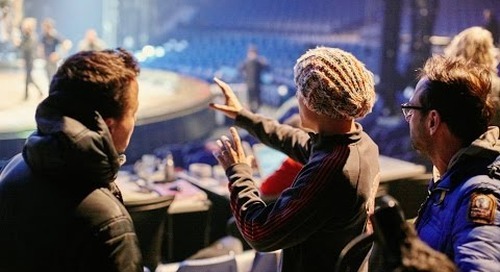 All of which goes to prove that organizing an event at Cirque du Soleil is the best way to ensure its optimal success! From the outset, the relationship with the Cirque du Soleil events team was friendly and flexible. Organizing a private performance made it possible for Tourism Montreal to adapt the evening to its specific needs, in particular with respect to the logistics, the running of the show and the meal. 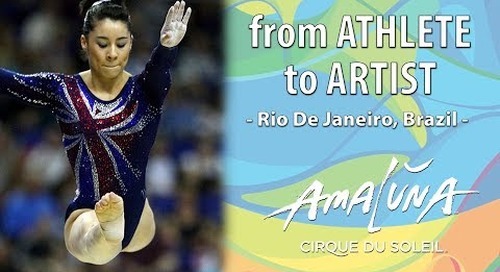 Former Olympians Marissa, Shona and Yvonne shed light on their journey from the world of competitive athletics to becoming ‪Cirque du Soleil‬ artists on Amaluna. What if you could alter reality at will? Delve into a world where seeing is disbelieving. 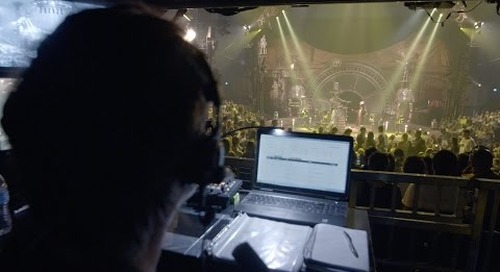 In this episode of KURIOS About, learn about the promo machine behind the show! 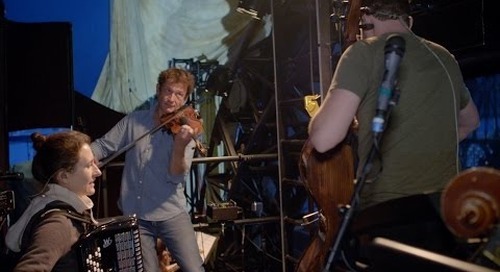 In this episode of KURIOS About, get into the KURIOS groove and learn all about the music! 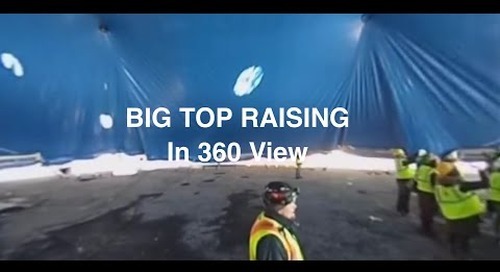 For the first time ever witness a Big Top raising from the insider's point of view in 360 degrees. 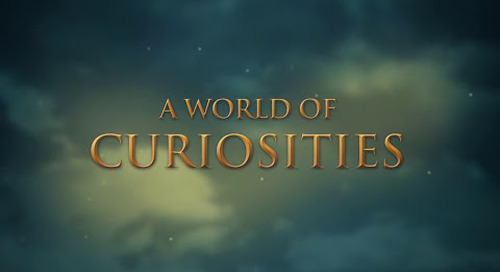 In this episode, discover the magical personality of some KURIOS characters on stage and in life! In this episode discover how Mr Microcosmos character is brought to life when Karl L’Ecuyer puts on his costume and makeup! Here in the KURIOS Kitchen, we are the total opposite of a typical restaurant: The menu changes but the clientele stay the same. 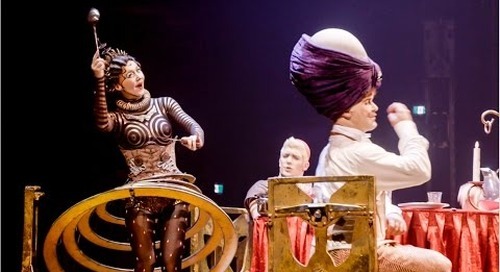 KURIOS About The Gears will make you discover more about the different technical aspects of our very unique kind of LIVE entertainment. 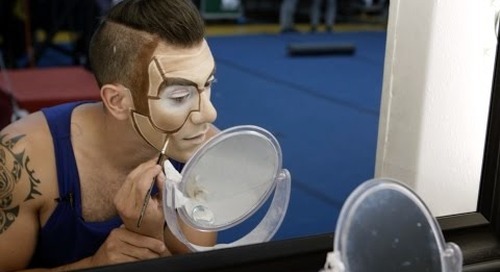 In this episode, discover the various steps behind the conceptualization of KURIOS by Cirque du Soleil and how the creative team brought their ideas to life.